Can I take my vehicle abroad for business? What about my car insurance when travelling abroad? Will my breakdown cover apply abroad? Can you take a hire car abroad? Are there any other special requirements for driving abroad? What if I have a problem while driving abroad? One of the joys of having a leased vehicle is that feeling of driving something new. There’s no escaping the fact that sitting in a car that you can trust to give you no mechanical problems is a delight, compared to the constant niggling worry that older used cars can bring. No driving experience is better than that daily pleasure of a comfortable and reliable car, except maybe getting to take it and just…go! 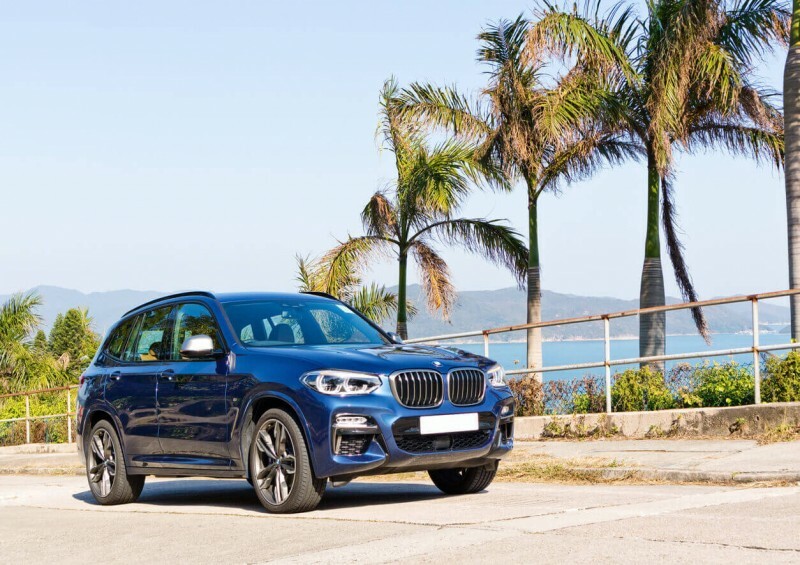 Going on holiday with your leased vehicle is a dream come true – all the comfort of something you know how to drive and can trust to cut up the miles without issue, combined with that thrill of going somewhere new, relaxing and letting the days be filled with pure enjoyment. It’s all fantastic until you get stopped at a border and asked to prove it’s your car. Ultimately, you can drive your leased car abroad, but you need to make sure you do things properly. Travelling abroad with your leased vehicle means you need to be able to prove that you have the legal right to take it out of the country. This is done through the use of two pieces of paperwork: the VE103 form and its brother documentation, the VE103B certificate. The VE103 certificate is a piece of documentation that provides proof that you can take the vehicle out of the UK. As your leased vehicle is technically legally owned by the finance company, you will need to obtain the certificate from them. If you’re leasing with us at Complete Leasing, the finance company is that who we arrange your lease with, so if you have any questions, don’t hesitate to ask us! The VE103B is an important document and is also only available from the finance company. It replaces the original vehicle ownership documentation (log book) with permission to drive the car abroad. To retrieve these documents, get in touch with the finance company your lease is arranged with. Please feel free to contact us if you’re unsure, and don’t worry, the process is simple! Some finance companies will also issue you with a letter of authorisation. While this is not a standard form, this written statement will be an extra help and you should request one when you apply for the other forms. Give yourself enough time to get both the VE103 and the VE103B – it will be a fourteen-day turnaround, so your first impromptu trip may be a little stalled, but once you’ve obtained them, they last for a full 12 months. If you think you are going to be wanting to cross the channel (or take a quick drive to Ireland), then why not apply for the forms straight away? What will my finance company need to issue the VE103 and VE103B certificates? Have all the information regarding your trip ready when you contact your leasing or finance company. While they already have many of your details, they may want to double check things and make sure that nothing has changed. Can I take my lease vehicle abroad for business? There’s no difference between a personal contract hire or a business contract hire when it comes to driving abroad – just make sure you have the right forms and you are good to go! Your fully comprehensive car insurance will automatically give you legal third-party cover in any EU country, however, leasing companies typically require you to have fully comprehensive insurance cover and you will want to call your insurer to extend your cover. Speak to your leasing company before arranging the insurance, as they may insist on you using their own associated insurer for driving abroad. It’s always worth checking with them first before going ahead with a quote from your regular insurance company. Like insurance, you may need to extend your breakdown cover – and it’s well worthwhile! Check again with the finance company to make sure that they don’t have any specific requirements and make sure you follow anything if that is the case. Most breakdown companies, such as the AA or RAC, offer extended cover for driving abroad on a daily rate. If you’d rather leave your leased car safe at home and try something new for the trip, most hire companies will allow you to hire a car to take abroad. Simply explain to the hire company that you plan to use the vehicle on a multi-country trip, and they will supply the car with all the right paperwork. Of course, the cost of hiring a car for a holiday can be expensive and it’s much easier to just take your personal lease car on holiday! Planning your route and knowing the laws and driving regulations in each country is imperative. Many major cities in France have new low-emission regulations and you will need to clearly display a CRIT’Air sticker in your car to be legally allowed to drive in these areas. It can take as long as 30 days to receive your sticker once you’ve applied for it, so be sure to do this well in advance. Plenty of European countries have additional laws regarding the safety items you have with you and may insist on a first-aid kit, high visibility jacket, warning triangle, headlight adjustments and more. In all cases, make sure you carry your documentation with you, including your full current British driving license. Nothing can beat some good preparation – take the time before you go to read up on the driving laws in the countries you are visiting and be ready to make the appropriate adjustments. What do I do if I have a problem while driving abroad? Treat any road traffic accidents, theft or vandalism in the same way you would in the UK. Be sure to contact the local authorities in most cases and speak as soon as you can to both your UK insurance company and leasing company. Depending on your level of cover, you may be offered a courtesy car or other means to get you and your passengers home without any further issues. Here at Complete Leasing, we aim for your journey with your leased car to be as worry-free as possible. Our representatives are here to help you with answers to any questions regarding car leasing and contract hire, both at home and abroad. Take a look through our guides and if you need to know more, give us a call or fill in our short contact form to have an expert give you a ring back at a time that’s convenient to you. Our guides and articles are here to provide you and anyone you know with the most up-to-date information regarding every aspect of vehicle leasing. Please do share this article with anyone who might be thinking of driving abroad and let us help them travel worry-free!